How to optimize your WordPress website to attract referrals from search engines! Here are several SEO tips to help you optimize your website for search engines and attract new client referrals from search engines: Google and Bing. Try to do as many as you can. I’ll use ‘North Toronto Cheeses’ as an example. If you are just starting your business try to register a domain name and choose a company name that includes your keywords. Example: NorthTorontoCheeses.com and North Toronto Cheeses Inc. Consider using WordPress for your website design. The WordPress content management system and SEO plugins make SEO easier. Install an SEO plugin such as Yoast SEO or All in One SEO. This will make optimization much easier. If you have multiple products or services optimize your home page for your principal product or service. Optimize other web pages for other products and services. Example of (an) other website page(s) to be optimized: ‘roquefort cheese in north toronto’, ‘stilton cheese in north toronto’, ‘brie cheese in north toronto’. By using your geographic location you will attract clients in your target market and reduce the number of competitive web pages. Place your keyword in your home page title: ‘North Toronto Cheeses – The Finest Cheese Shop in North Toronto’. Keep within the maximum number of characters. The SEO plugin will help you with this. This is the title that will display in the search results. Include your keyword in your home page description: “The finest cheese shop in North Toronto, Roquefort, Stilton, Brie (add other keywords), Open 7 days a week on Mount Pleasant Avenue (416)-555-1212.” Your description is important because it displays along with your page title in the search results. The more often the searcher clicks on your listing the higher your click through rate (CTR) and the more often Google will display your listing for that keyword because the searchers vote that you’re a good match for that keyword. There are limits on the length of your page titles and descriptions. Make sure there is only one h1 tag on each web page. Include your keyword once in each short paragraph on your home page. Be careful not to overdo it. Your keyword should be 5-7% of the total number of words on the page and should be more frequent than other phrases. Keywords should be earlier on the page, earlier in a paragraph and earlier in a sentence. Use the SEO plugin to create your titles and descriptions. Read the SEO analysis to tweak your title and description. Use a simple and clear permalink structure. Ending your URL with the post name is the preferred method and optionally you can prefix the post name with the category, which results in one of the two following permalink structures: /%postname%/ or /%category%/%postname%/. For an added bonus, add your main keyword somewhere in the post or page name. Use the snippet preview in your SEO plugin to see if it’s been detected in your slug (url). When writing for your website don’t use obscure phrases, use terms that searchers would use to search for you. In your footer place your company name, location and your keywords. Submit your site to the Google Search Console and Bing Webmaster Tools. Create a Google Analytics account and place their tracking code on every page of your website. This is very easy to do in WordPress and most Content Management Systems (CMS). Make sure Google knows where you are by obtaining a free Google My Business listing for your business. Optimize it by including keywords in the title: “North Toronto Cheeses-Roquefort, Stilton, Brie Cheeses in North Toronto” and complete your listing to 100%. Include photos and even videos if possible. Use keywords in your image ‘alt’ attributes. Add a blog to your website and blog regularly. Write on topics of interest and value to your clients and visitors. Demonstrate your vast knowledge of your topic and build your reputation as an expert. Open a Twitter account and tweet regularly about your products linking back to your blog posts. Consider adding a Twitter feed to your website of blog. Create a Facebook page for your company and add content regularly. Create a LinkedIn profile for yourself and a LinkedIn Business Page for your company and include keywords in your profile. Add SSL encryption to your site, here’s why: Google reveals one of its ranking factors: they Validate your website and correct any errors. In your Google Search Console account make sure your geographic target is set to your target market. Country domains are set by default but dot COMS can be targeted. Try to get other websites to link to yours. These are called backlinks. Offer to exchange links but only with relevant websites that offer value to your visitors and clients. Add a Bookmarking widget such as AddToAny to your web pages allowing visitors to bookmark your web page with their favorite social platform: Facebook, Twitter, LinkedIn, Pinterest, etc. Consider adding Twitter, Facebook and LinkedIn widgets to your website. These will display your updates and allow visitors to ‘follow’, ‘friend’ or ‘connect’ with you. Run your home page through the Meta Tag Analyzer and make the necessary corrections. Test your home page load speed and optimize it to load quickly. There is a penalty for slow loading sites. See Google’s suggestions and do as many as you can. To improve page load speed consider using a caching plugin such as WP Super Cache or WP Rocket. To speed your site’s loading and make your site safer consider using a service such as Cloudflare. Create an XML site map and submit it to Google and Bing Webmaster Tools. Make sure it updates automatically every time you add or update a page or post. Open a YouTube account and post videos of your products and services. Create a Google+ account and Page and link it to your website. Create a Pinterest account and link it back to your website. Use email addresses from your domain ([email protected]) for all your business communications instead of using a web mail service like Hotmail, Sympatico, etc. Why promote their domain when you can promote yours? Test your home page load speed and optimize it to load quickly. There is a penalty for slow loading sites. If you are using a Content Management System (CMS) enable ‘Pretty Permalinks’. Pretty Permalinks include keywords in your web pages’ URLs, very important for SEO. If your site is not responsive consider using a plugin to make your site responsive. WPtouch has worked for us. Be aware of the AMP project, Accelerated Mobile Pages. There is an AMP plugin for WordPress. Watch SEO: The Movie. 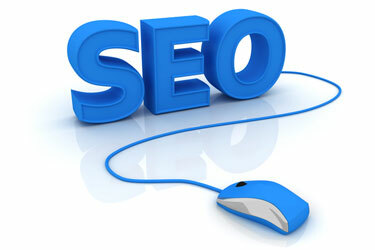 Are you ready for the real story of search engine optimization? This is the biggest piece of content to hit SEO this year!